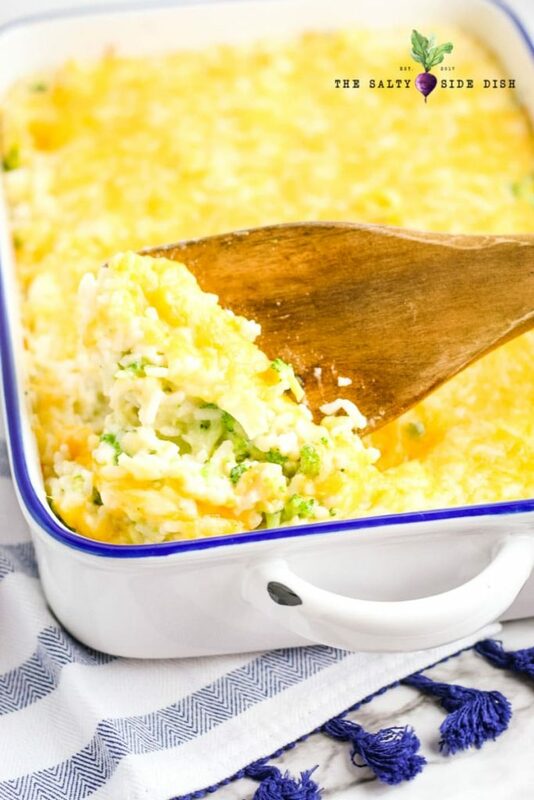 Broccoli Cauliflower Casserole, or rather a Cheesy Broccoli Cauliflower Rice Casserole, is the perfect hearty side dish for any chicken meal. Dump, Bake, and ready to serve a family recipe favorite in minutes flat. 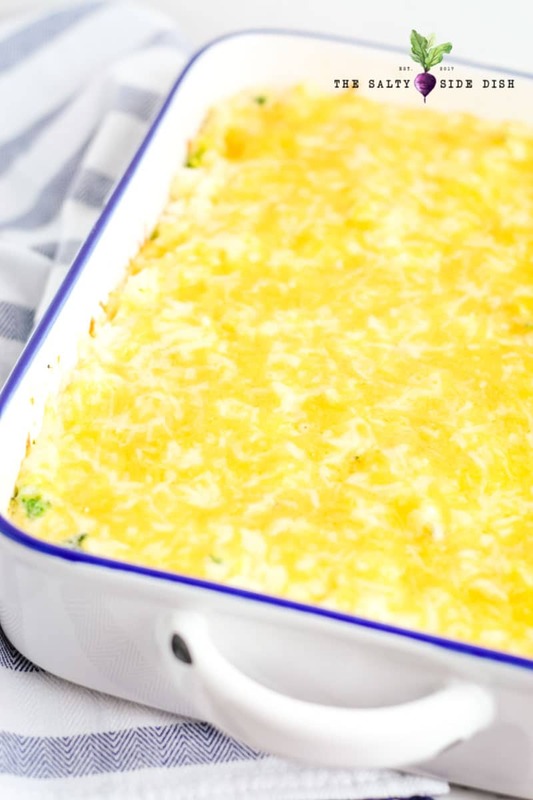 Plus this cauliflower casserole easily substitutes for a full meal; just add cooked protein! If you prefer to leave out the broccoli, try this Loaded Cauliflower Casserole instead – its SO good. This recipe is provided by a guest author here on Salty Side Dish. This broccoli cauliflower casserole, complete with cheesy broccoli, is the perfect hearty side dish. No protein needed (but totally Ok to add pre-cooked) this is nearly a full on main dish. Ready to make some broccoli and cauliflower casserole? This deep dish way to eat your veggies and love them, is quickly made with only frozen broccoli and frozen cauliflower. 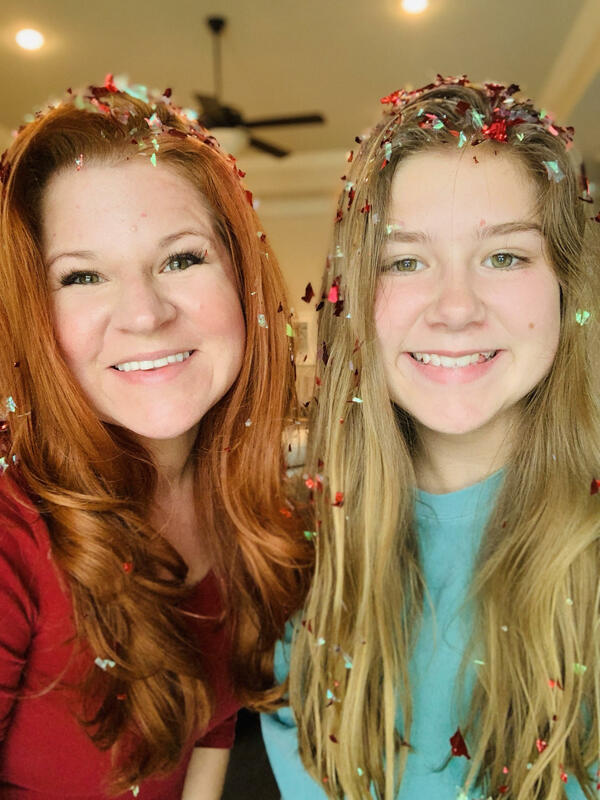 A perfect side dish for chicken and fantastic for holiday meals like Thanksgiving and Christmas, its a catch all dish that may actually get your kids to eat! Unfortunately this cauliflower casserole is not without carbs. It’s hard to get anything with rice in the “low carb” or “keto” category, but if you want to try to alter and still need the filler, try Rutabaga Rice or make it extra cauliflower-y and add cauliflower rice! Cauliflower rice isnt actually rice, its just tiny pieces of cauliflower chopped up so much that it can fool you into being rice. Kinda. Its still pretty good and is in the frozen department. Can you freeze broccoli cauliflower casserole? Listen I think you can freeze just about anything when it comes down to it but I don’t tend to like frozen food. Because you make this casserole with already frozen broccoli and cauliflower, its best to make and eat, then make, freeze, and eat. 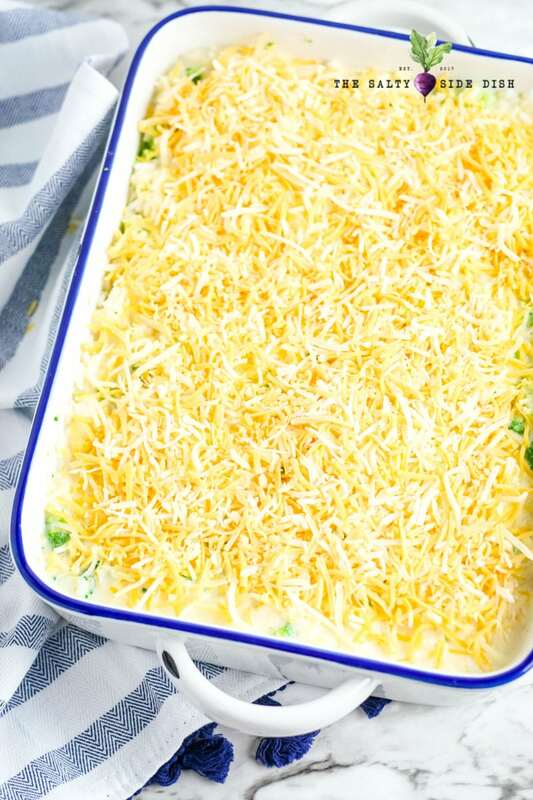 Can you use a different type of Cheese in your Casserole? Absolutely! In fact, changing out cheese can alter the taste to your liking. When it comes to casseroles, I like cheddar jack, cheddar, Colby jack and Monterrey jack cheeses. You can also try something richer like Gouda if that is your wheelhouse. Casseroles are the perfect side dish to take to a party or family get together. Make sure you have a casserole tote to keep this one warm and ready to eat. I also love to use one with my Chicken Casserole with Ritz topping. 2. Chop the broccoli and cauliflower in to small pieces and combine with the rice in a casserole dish. 3. In a medium sauce pan, melt butter over medium heat. Add corn starch and cook until golden brown, whisking constantly. 4. Slowly pour in milk and bring to a boil, whisking constantly. Remove from heat and add 1 ½ cups cheese. Stir until cheese is melted. 5. 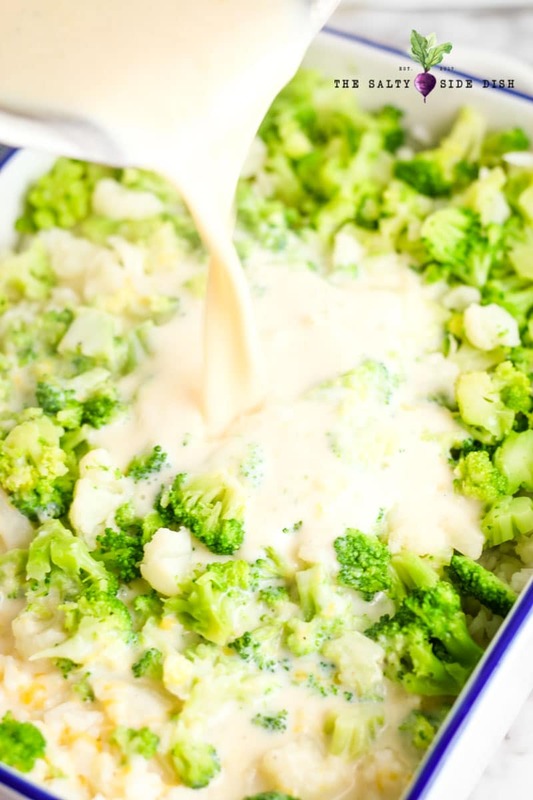 Pour cheese sauce over broccoli, cauliflower, and rice. Stir to combine. 6. Top casserole with remaining cheese. 7. Bake for 30 minutes or until cheese is melted and sauce is bubbly. 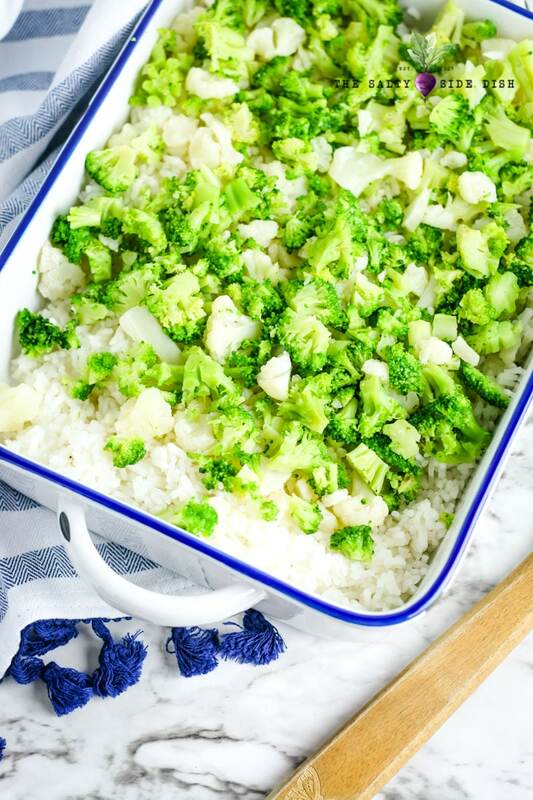 Chop the broccoli and cauliflower in to small pieces and combine with the rice in a casserole dish. In a medium sauce pan, melt butter over medium heat. Add corn starch and cook until golden brown, whisking constantly. Slowly pour in milk and bring to a boil, whisking constantly. Remove from heat and add 1 ½ cups cheese. Stir until cheese is melted. Pour cheese sauce over broccoli, cauliflower, and rice. Stir to combine. Top casserole with remaining cheese. Bake for 30 minutes or until cheese is melted and sauce is bubbly.